Parking is available in the parking lot near the Art Gallery. 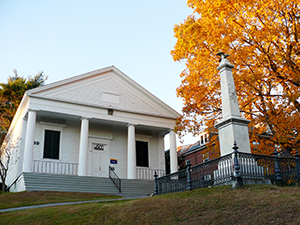 The Art Gallery is located on the corner of the College Avenue entrance. Please refer to the above link for navigation to the parking garage on Surrenden Street. 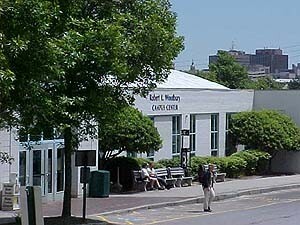 The AREA Gallery is located within Woodbury Campus Center, straight through the first set of doors closest to Bedford Street.